Join Our Fitness Classes Today To Get In Great Shape Fast! Are you ready for a better training program? Then join us at Huntington Beach Ultimate Training Center for the best Fitness Classes in town! We work with men and women of all ages and abilities, helping you see real results fast with high-energy classes and a dedicated staff. Whether your goal is weight loss, muscle gains, or just an exciting chance to stay active, we've got what you're looking for. 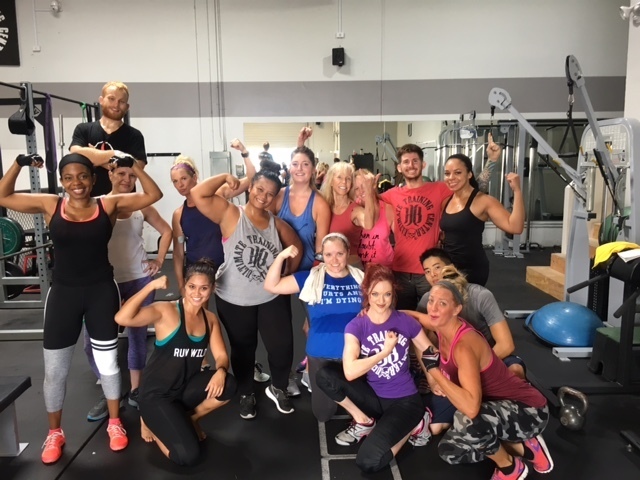 At Huntington Beach Ultimate Training Center, our Fitness Classes are designed with YOU in mind. No more cookie cutter workouts and boring routines. Our staff keeps you on your toes with ever-changing exercises and an individualized approach. From experts to amateurs, everyone in town can see real results in this program because every movement is scalable and we're there every step of the way to keep you motivated and energized. Each and every time you finish one of our fitness classes, you'll know you got the very most out of your body. There's no better feeling. You should be able to look forward to working out. Now you can. Join us at Huntington Beach Ultimate Training Center and take on a total-body challenge like never before. Fill out the short form on your screen to learn more about our Fitness Classes today!